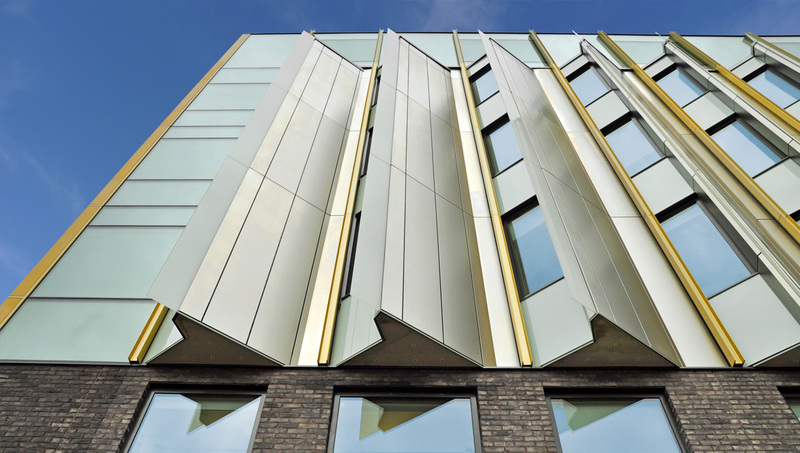 A Proteus façade solution, including saw-tooth cladding, has transformed Lewisham Southwark College Waterloo Campus into an award-winning masterpiece. 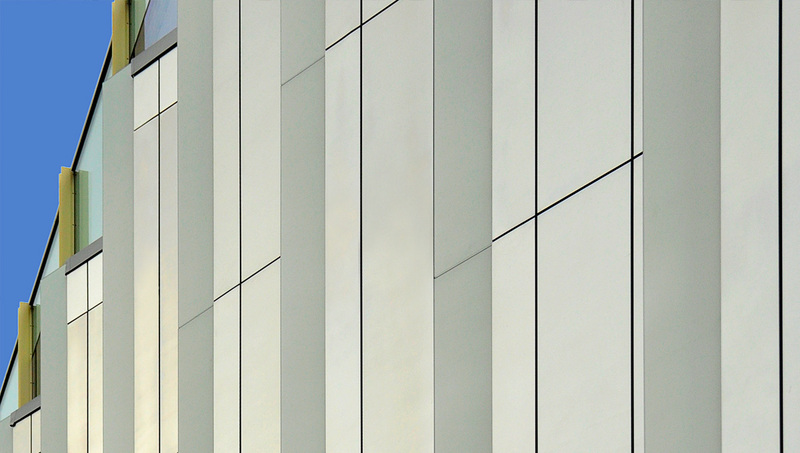 Showcasing the façade is a combination of new Proteus GL Back Painted Glass and Proteus HR Rimex Stainless Steel Cladding in Granex M1A. 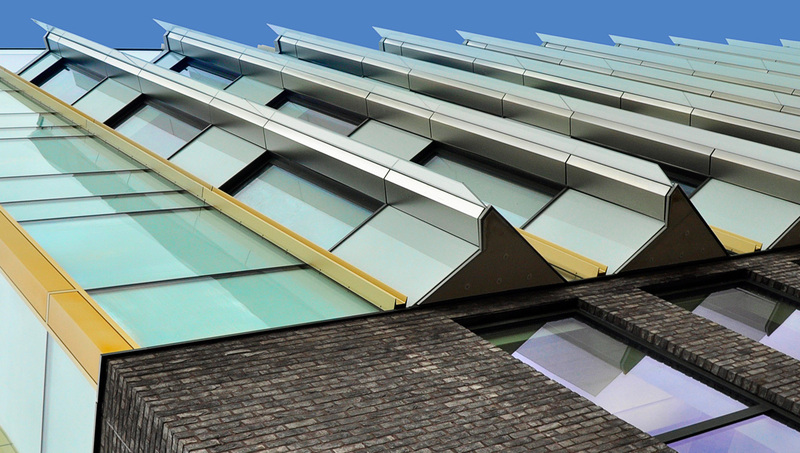 Lewisham Southwark College (Phase 1) was announced winner of the AJ Retrofit Awards – Higher Education category and shortlisted in the RICS ‘Design Through Innovation’ Awards. 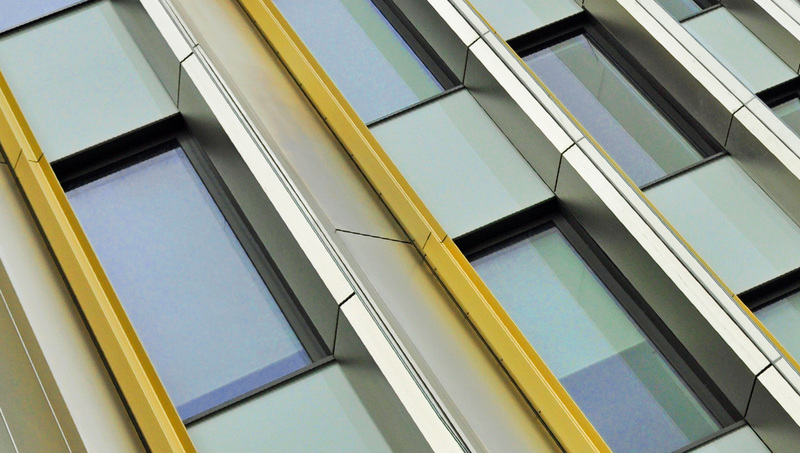 Proteus GL and Proteus HR were specified by Richard Hopkinson Architects in collaboration with Platform 5 Architects for the entrance surround, rear elevation and stair well cladding on the £40m redevelopment project. 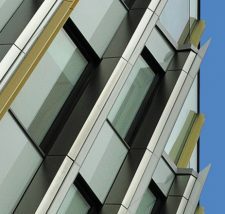 The Proteus cladding now announces a new point of arrival at what was an existing 2,795m2 ‘run-down’ college building. 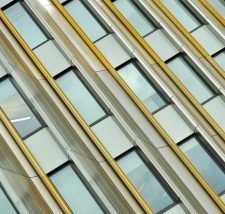 Whilst outwardly transforming the college, the Proteus cladding also gives a nod to the innovative and vibrant learning spaces inside. Proteus GL accentuates the saw tooth design on the return face of each saw tooth by embellishing the subtly muted tones characteristic of the highly polished, reflective glass surface. 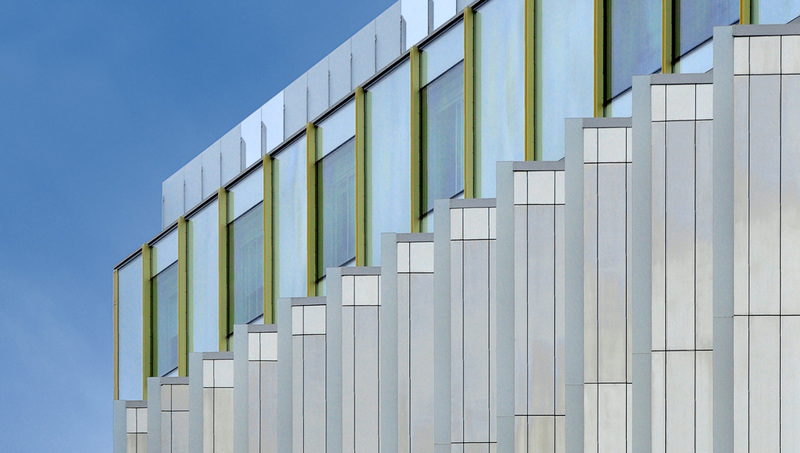 The Proteus HR stainless steel cladding also serves a practical purpose by creating a brise soleil around the window pods, offering a distinctly different and attractive silvery, granular surface that accentuates the back painted glass and other glazed areas at Lewisham Southwark College Waterloo Campus. Further intrigue to the saw tooth design was added by a glass fin cantilevering off the SIPs panel on the nosing of each crank. 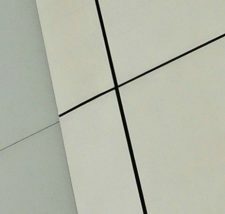 Proteus worked with the design team at Platform 5 Architects and the fin manufacturer to ensure that all the separate elements integrated during installation. 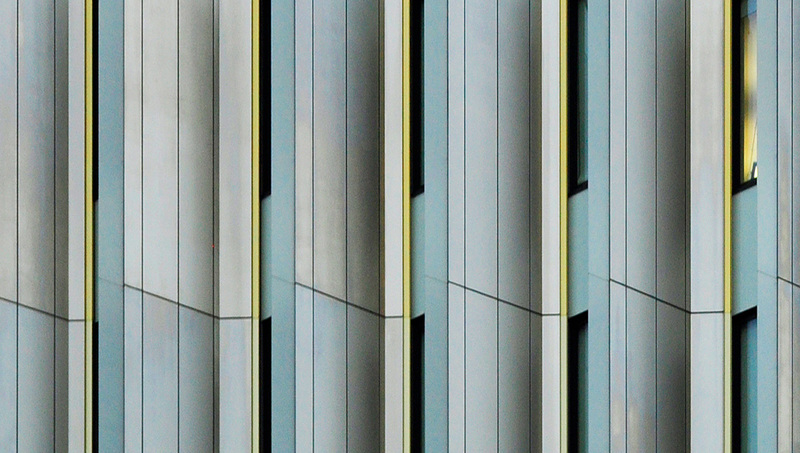 Main contractor at Lewisham Southwark College was Balfour Beatty and the Proteus cladding was installed by DCP Ltd.
Lewisham Southwark College Waterloo Campus provides specialist teaching spaces, recording studios, music rehearsal rooms and a suite of dance studios.